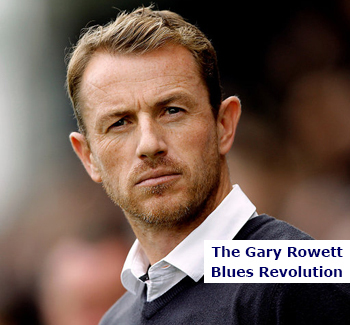 The Gary Rowett revolution is slowly but surely undertaking it’s summer overhaul. The Blues boss has gone on record to say that the budget ‘will not be lower than last season’ and that he feels he has adequate resource in which to continue the club’s upward spiral. Judging by Rowett’s signings last season, I would trust him to make the right calls again. The signings were shrewd and every single one played a part in turning the fortunes around. If reports are to be believed, Blues have missed out on signing free agent Gary Madine, who has opted to join Bolton. While I don’t know how much interest there actually was from Blues, the story could have some truth to it. Jay Emmanuel-Thomas remains Rowett’s number one target, aside from last terms loanees, all of whom will be chased by the club on a permanent basis. Wigan Athletic have gone on record to say that Rob Kiernan will not be leaving, however, I suspect that a transfer request and a decent offer would change their stance. It’ll be a shame for Kiernan to be stuck in League One after he proved his Championship capabilities at St. Andrew’s. Amari’i Bell, who was recently released by Blues, has jouned Fleetwood Town. I am pleased that Bell has sorted his future out so quickly. Signing him is a coup for Fleetwood, he is a decent left back who I am sure will one day play in the Championship on a regular basis. Lots of rumours will fly roiund over the coming weeks – I’m sure Blues will be linked with every man and his dog. And new contracts still need to be sorted out, most importantly, Darren Randolph’s. Unless Rowett makes an audacious attempt to sign Petr Cech or David De Gea (yeah right) then I sincerley hope Randolph remains number one next season! This entry was posted in BCFC News, Rob Wildey, Tired and Weary. Bookmark the permalink. Follow Tired & Weary's board Birmingham City FC on Pinterest.